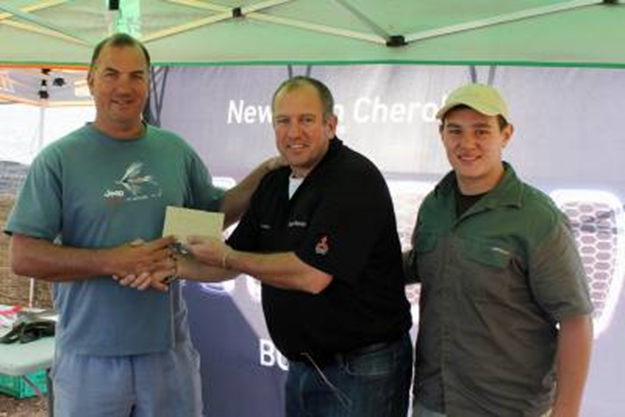 The July leg of the 2014 Lowveld Bass Trail was held on the picturesque, 811ha Injaka Dam. 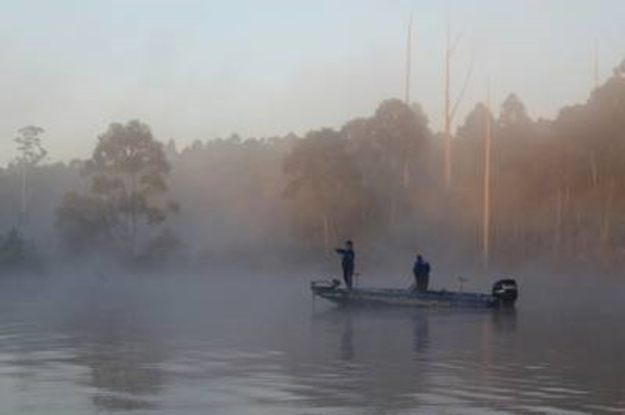 The mid-winter competition presented a tough challenge to the anglers as a result of the cold and dirty water, as well as more-than-usual fishing pressure because of the multitude of Elite Bass Alliance Series boats practicing on and fishing the dam the week before the LBT competition. Only 19% of the LBT teams managed to bag a limit, and 71% of the field caught 2 fish or less! Above: Charl and Michael of Team Angling & Outdoor World pulling up to their first fishing spot that yielded three quick fish. There are tough days on the water, and then there are tough days on the water! Team Angling & Outdoor World did rather well, and were one of only four teams able to bag a five-bass-limit. They’ve now moved up to 3rd overall, well in contention of making the final at Maguga Dam in October. 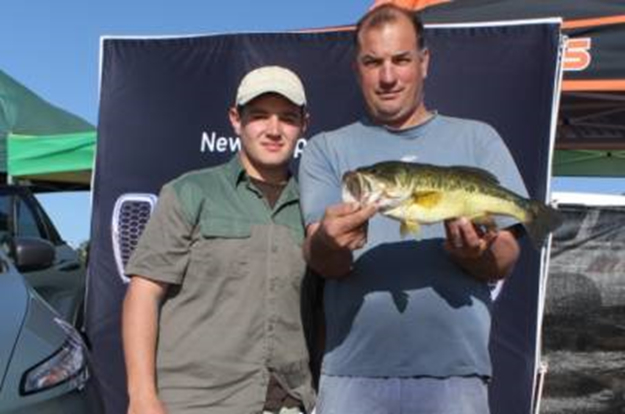 Above: Johan Rautenbach of Team Stokstyf with the second biggest bass of the day at 1.785kg. 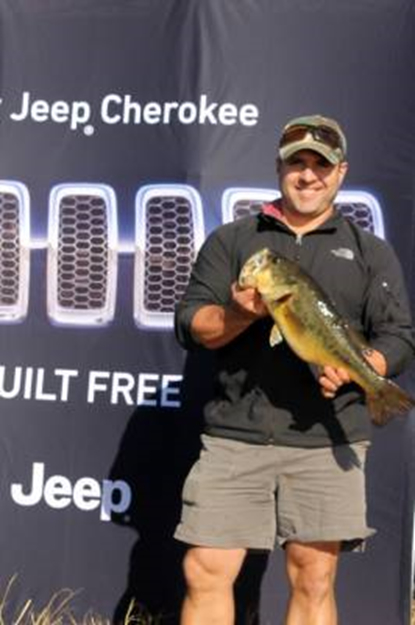 Above: Herman Geldenhuys of Team Thermocline with the biggest bass of the day at 2.205kg. Above: Team Stokstyf receiving the R5000 cash for winning the competition. 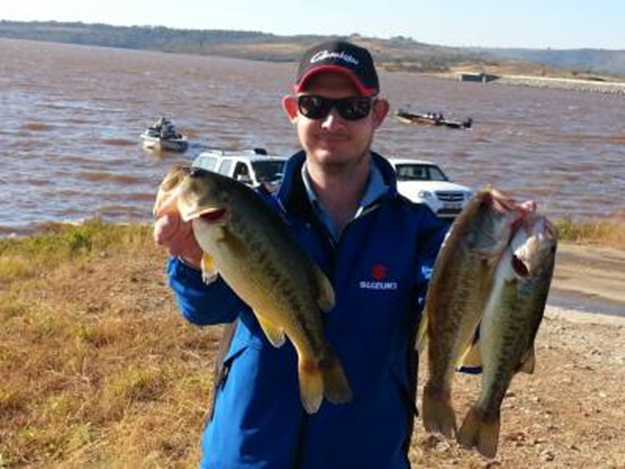 Above: Michael Cronje of Team Angling & Outdoor World with three of five bass that secured them fourth place.